Living in a city has a whole host of benefits, but there can be potential problems too. The good news is that fitting shutters to your windows can help remedy them. City living can be extremely noisy with cars, trains, planes, and even loud pedestrians – all possible sources of disturbance. But if you want to cut down on the racket that’s transmitted to your home through windows, fitting wooden shutters can help. Ours are made bespoke for each window fitting perfectly inside each frame. Having shutters act as another barrier between your window and room will dampen the sounds from the street to keep the interior of your home more peaceful. Living on a busy street can often feel like you’re in a fish bowl. To stop passers-by checking out your decor, never mind what you’re watching on the telly, it’s important to fit a window treatment that creates privacy. However, giving up precious daylight is a no-no and shutters are the answer on both counts. 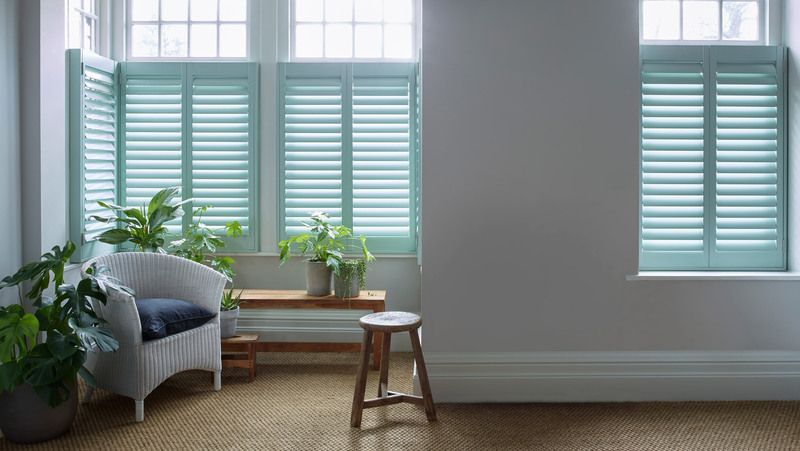 Slatted shutters allow the daylight to pass into your rooms, but they’ll mean the room – and you – are obscured from the gaze of those outside. They are a much better alternative to blinds and curtains as you can control the light and privacy by moving the slats. Curtains and blinds are limited to being either open or closed, compromising light. It’s worth thinking about which style of shutters best meets your needs in terms of privacy in each room. Café-style shutters are fitted to the lower part of windows and could be enough to stop those on the pavement looking in, while maximising light from the top windows that are left bare. Hanging curtains over the top can soften the look and give you black out control during the night. 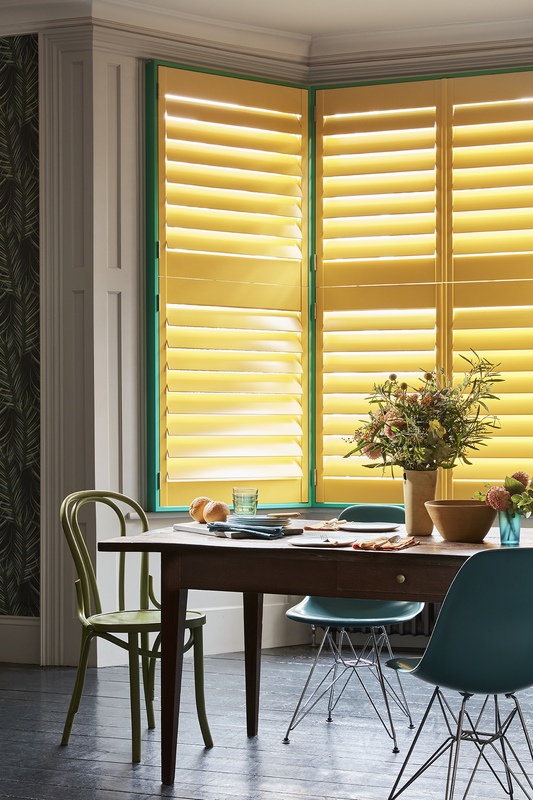 If you like the idea of top and bottom shutter panels that operate independently, so you can go between a café-style arrangement and full window coverage, then tier-on-tier shutters might be a favourite. If you know you’re generally going to leave the window covered Full-height shutters will bring the privacy you need and look sophisticated and smart in any home. Bright street lamps right outside the window can disturb the sleep of both adults and kids and, downstairs, the glow can ruin the ambience created with your well thought-out lighting. If this is a problem in your city home, think about solid panel wood shutters. 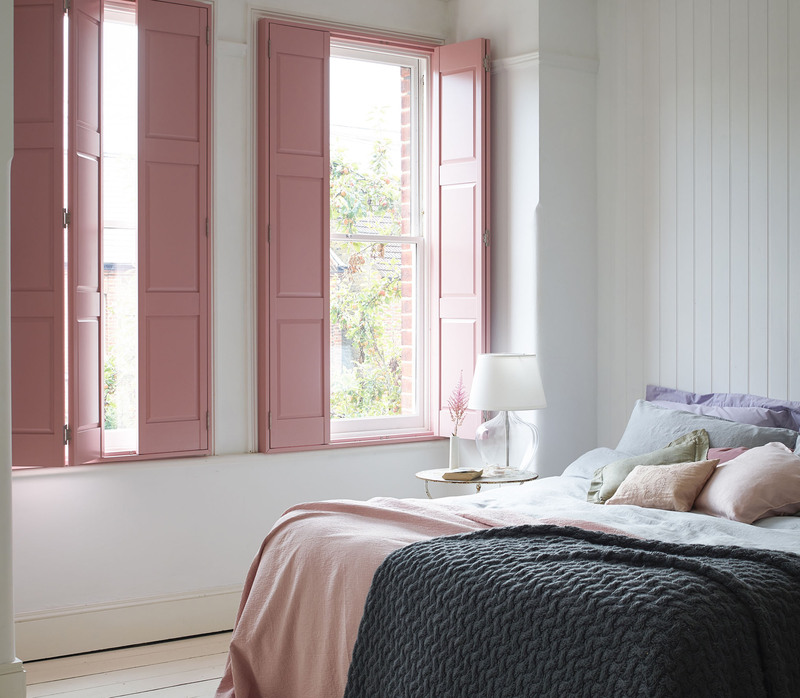 Our range of solid panel wood shutters can block light effectively because they’re made bespoke to fit the window, making them an ideal choice for street-facing bedrooms and living rooms. Shutters are also a top choice to boost home security. How? They’ll provide an extra barrier at the window – something curtains and blinds certainly can’t do. It also helps that shutter slats can be angled so a would-be intruder can’t check out the contents of your rooms, and, as burglars are frequently opportunists, the fact that an individual can’t see if your home can help put them off, too. To improve security further you could attach hooks to your shutters, effectively ‘locking’ them in place when closed. Many city homes date from the Georgian, Victorian and Edwardian eras, and that’s another reason why shutters are the perfect choice for your windows. Shutters will complement the architecture and add another attractive feature to the interior. Shutters are also ideal for the sash windows and bays in period homes, and they can be made to fit unusually shaped windows, too. We’ve fitted many a wonky window in our time, so you can rest assured that our consultants will measure and fit shutters with absolute precision. Do you have a newer city home? 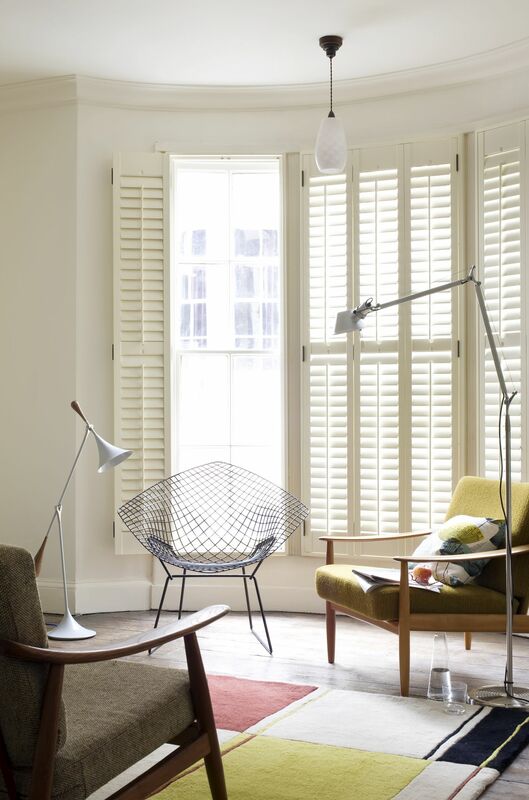 With their clean lines and symmetry, shutters suit more recent and brand new properties equally well and can bring features to a ‘boxy’ room. Preserving and enhancing the value of a city home is important, and shutters are also the number one choice for windows to increase the value of your home. They’ll add to your home’s kerb appeal as they look as good from outside as they do from in. Inside the house, their neat fit will help rooms feel as spacious as possible, and they’ll create decorative consistency that buyers will fall for when you decide it’s time to put your city pad on the market. At Shutterly Fabulous, our team of expert consultants have fitted shutters to thousands of city homes. Contact us today to discuss your window and get a ball park cost.